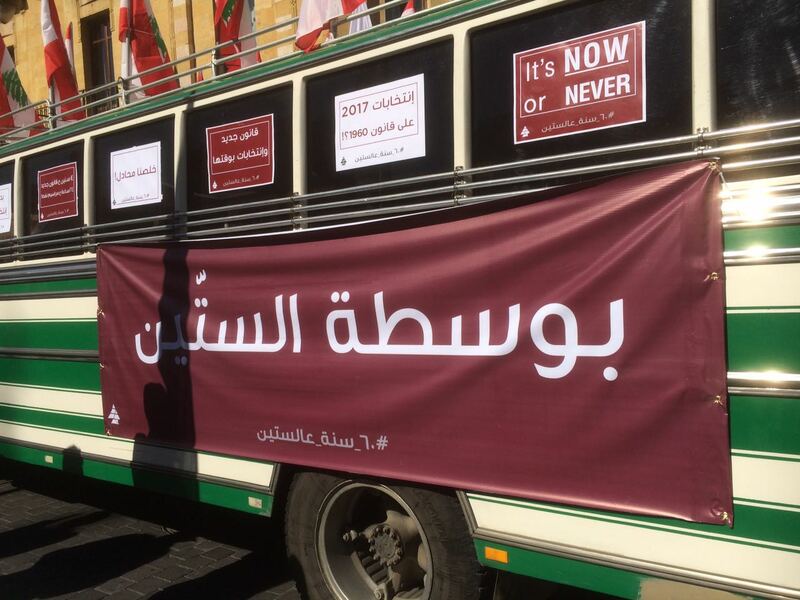 The New Electoral Law: How Does it Work? 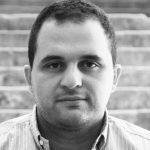 The Lebanese cabinet has finally approved an electoral law after months of ongoing debates and disputes. To be honest, I stopped following up on this matter a month or two ago and I was almost sure they’d adopt the 1960 law but somehow the cabinet has managed to pull out a new law that all parties, well most of them, agreed on. The new proposed law is quite a complicated one and I didn’t have the time or patience to read it, but I bumped into Jean Nakhoul from MTV on Saturday during a birthday dinner, and he was pretty much explaining to everyone the new law, so I asked him if he wouldn’t mind writing it down in a blog post and so he did. I spoke to him for over an hour and he’s so obsessed with elections he had examples of several districts with names and number of votes and all. 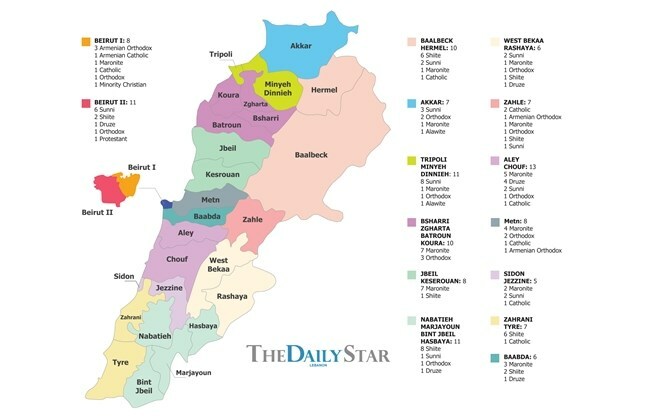 – Lebanon is now divided into 15 major electoral districts, made up of 27 sub-districts. – The number of MPs is still 128 and their term is still limited four years. 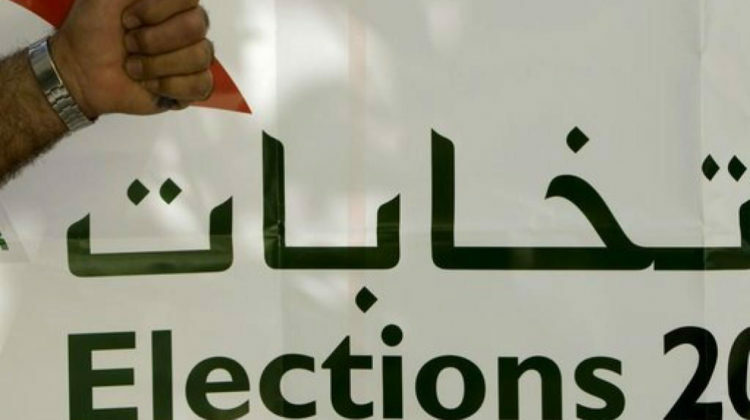 – Expats will NOT get any seats in the upcoming elections. – Elections are likely to take place on May 6 2018, the first elections in eight years. – No women quota was adopted. – The new law will create a proportional representation system for parliament. – Voters will get to select a full list as well as choose one candidate as their preferential vote. Now you can find here below Jean’s detailed post, noting that I am not endorsing any of his opinions or views. The aim is to have a clearer view of the law since most people don’t feel like reading 20+ pages. In fact I’m always skeptical of anything our politicians approve of and I highly recommend you read Moulahazat’s take on that matter. The electoral law isn’t as bad as you thought! Many criticized the new electoral law agreed upon by the major political parties, after 9 years of committees, meetings, studies, propositions, and mainly, parliament extensions. However, this electoral law is not as bad as you may have heard, despite the fact that it lacks major reforms like women’s quota and continental seats. – The Christians will have the chance to choose their representatives in all the regions. Some said that the Christian votes will get a maximum of 49 seats out of 64 but this is not true. 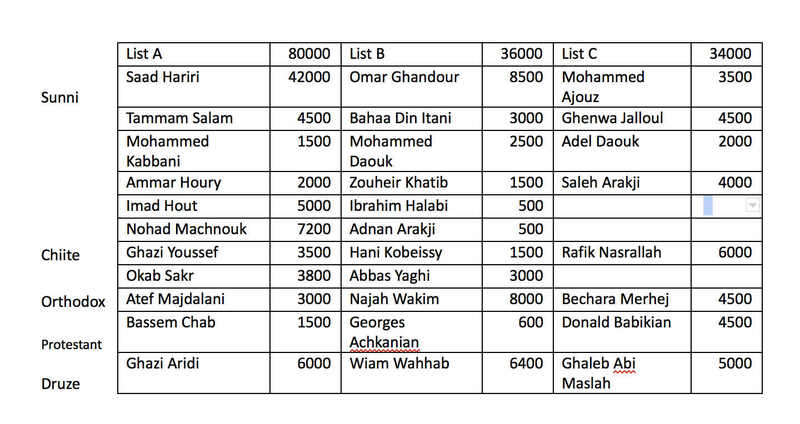 Even in Baalbeck Hermel where you have more than 100K Muslim voters, 15K Christian voters can get the maronite seat with the preferential vote. – The proportional system gives every party its true representative parliamentary bloc, and it will give the chance to many people whose votes didn’t count previously in large regions, to cast their votes and make a difference in every single electoral district. – Some may say that the system is sectarian. Fine, this is the whole regime, and until we change it or move to a civil society, we have 18 communities to take into consideration in the parliament. – This law can help young figures and civil movements to be represented in the parliament with a minimum number of votes. Some said that this is hard for them, but as long as they get the electoral score (which is equal to the number of voters divided by the number of seats) they will get a seat. If they don’t, then they simply don’t have enough popularity in their district. This is democracy. – The only thing that could have been better is using the preferential vote in the whole district not only the caza. If I can vote to the whole district, why would my preferential vote be only used in my caza? Plus, preferential votes in the district could have helped reduce the sectarian speech, in order to have more voters from different sects. How will the vote count happen? Disclaimer: Some names are hypothetical, others are true, but the numbers are not representative of the true electoral state of each. This is only an example. The electoral vote is equal to: 80000 (number of voters) / 8 (number of seats) = 10000 which means that every 10000 votes are equal to one seat. However, there is still one seat left, it will go to List A who has the biggest number of votes left. Now how to choose the winners? We take all the names and the preferential votes they got and put them in order. In other district where we have many caza, we have to turn the preferential votes into percentages because in the North for example (Becharre – Batroun – Koura – Zghorta) every caza has a different number of voters. 2000 in Becharre can be equal to 5000 in Koura. 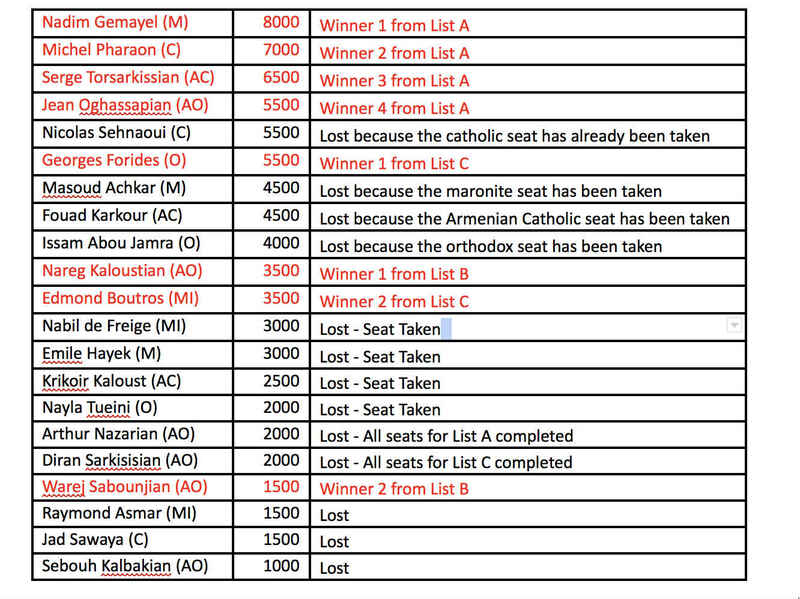 As you can see, 10 candidates lost because the seat of their sect has been taken. 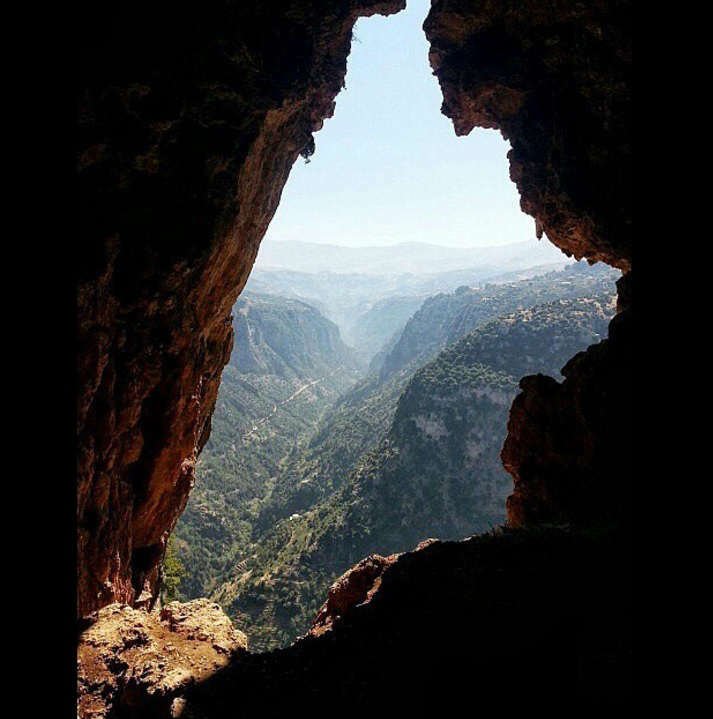 This law has been adapted to fit the Lebanese sectarian mosaic, and therefore; the problem is not with the law itself, but rather with our sectarian regime. 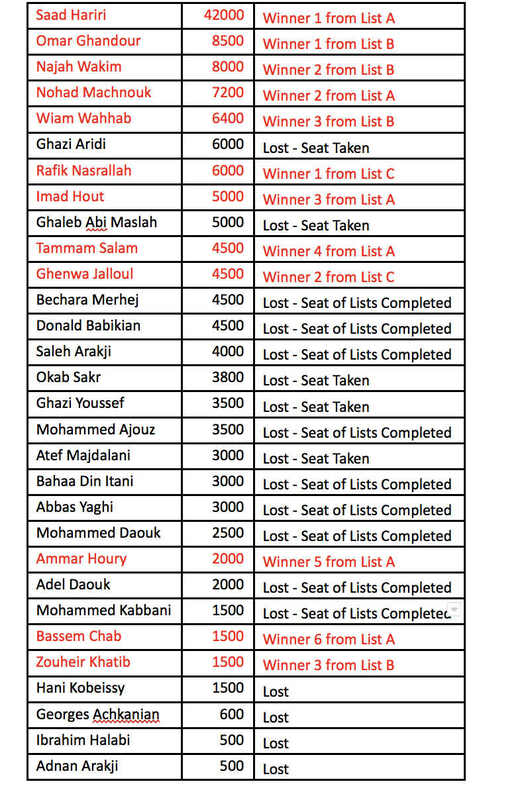 Without the sectarian regime, the first candidates of each list would have won. 2 seats left, one will go to list A, the other to list B, since they have the highest number of votes left. True, it’s not fair that someone with 1500 votes wins over someone with 6000 votes, but again, blame the sectarian regime, not the electoral law. This new law gave the chance to every single party to be represented and it will surely change the political life in Lebanon.